You plan on staying in London for a couple of days but you did not find any suitable accommodation yet? We would suggest for you to look closely at the hotels located in one of the central areas. Even if the prices are more expensive than in the other districts, this is your opportunity of not depending on any private or public means of transport, as the majority of local attractions are situated in or near the City. One warm suggestion is the popular Millennium Hotel London Knightsbridge. This accommodation is mostly preferred by tourists that are in this beautiful capital city for the first time and want to see the most beloved touristic attractions, shopping streets and departments, restaurants and other means of entertainment. The above mentioned hotel can help you succeed this while also providing modern facilities, elegant rooms and a four starts welcome. Among the nearby landmarks and venues that await for your presence are Hyde Park, Victoria and Albert Museum, Sloane Street and its famous brand shops, The London Eye and many more. In order to get a Stansted to Millennium Hotel London Knightsbridge Transfer by rail there are several options. First of all, you could take the train from Stansted Airport (every 15 minutes) via Tottenham Hale Underground (every 5 minutes) and Green Park Underground Station (every 5 minutes). This journey will take about 60 minutes in total. The second option is a bus from London Stansted (every 60 minutes) via Victoria (every 5 minutes). This journey lasts about 1 hour and 30 minutes. You can also choose a bus from Stansted Airport (one a day), ending with a 21 minute walk. This trip takes 1 hour and 36 minutes from your time. 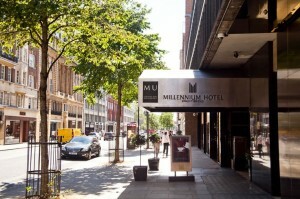 A Stansted to Millennium Hotel London Knightsbridge Transfer by car can be done by taking the M11 motorway. Stansted Airport is at a 38.6 miles distance from Millennium Hotel London Knightsbridge. This journey will take about 60 minutes, without including traffic. A Stansted to Millennium Hotel London Knightsbridge Transfer with 247 Stansted Airport Transfer is going to take about 1 hour and 33 minutes, including rush hour traffic. 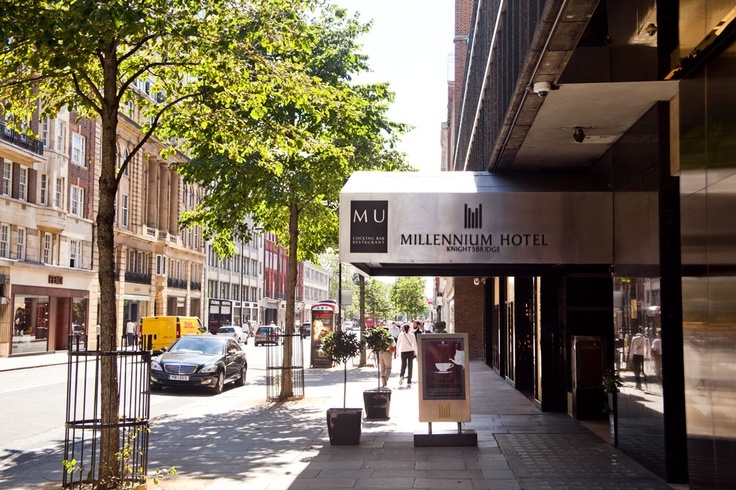 The price for a Stansted to Millennium Hotel London Knightsbridge transfer starts from 59 GBP.